Control's webinar series explores practical applications of today's rapidly evolving process automation technology. These educational sessions are presented by industry experts, moderated by our editors Paul Studebaker and Jim Montague, and followed by an open Q&A session. Each 45- to 60-minute event will teach you how a major trend is changing the ways control professionals are designing, engineering, commissioning, operating and maintaining their facilities. Select each webinar you'd like to attend and fill out the form below to register. More Control Global webinars are available on demand. Paul Studebaker joined Putman Media Inc. in 1993 and has held roles of progressively increasing editorial responsibility on Control, Plant Services and Sustainable Plant magazines. Previously, he worked for 12 years in manufacturing, specializing in materials development, process engineering and process control. A Certified Maintenance and Reliability Professional (CMRP), he holds BS and MS degrees in Metallurgical Engineering from the University of Illinois at Urbana. 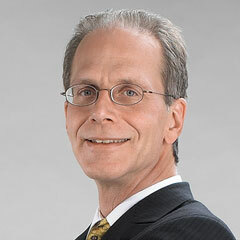 Among his editorial awards is the prestigious Jesse H. Neal award for editorial excellence from American Business Media, the highest journalist award given by the business-to-business press community. Amanda Del Buono is the Digital Engagement Manager at Control. 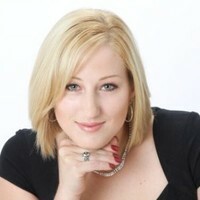 Prior to this role, Amanda was the Associate Editor at Beverage Industry magazine. Amanda earned a Bachelor of Science in Journalism from The University of Missouri – Columbia, and currently lives in Plainfield. Each Control webinar features industry experts form a variety of sectors, backgrounds, and perspectives. Whether they are presenting data from a recent study, highlighting actionable insights from a case study, or answering your questions, our roster of experts will provide you with the advice and guidance you need to implement new programs and technologies at your facility. Control's webinar platform is compatable with all mobile delices, making it easier than ever to attend our live events. Whether you're in the field, break room or at home, our great process automation and control knowledge is available at your fingertips.